SparkChess is a free online chess game that allows you to practice chess against the computer and to engage in multiplayer online challenges, or to just watch others play. SparkChess is an excellent way to get better at chess - learn the proper rules (including the elusive en-passant), practice openings, test strategies, use the board editor to recreate famous positions with FEN strings, replay famous games, import/export PGN games and databases (with comments and annotations) and let the computer help you. With 5 levels of difficulty and a behavior modeled to make human mistakes, this is a very fun game to play. Our online chess game also features an opening database created by analysing 145,000 games from international tournaments. There are 4 different board styles (a 2D diagram, two fixed 3D designs and a 3D rotatable board) to suit any style - from the playful kid to the serious tournament player. With the multiplayer feature, you can put your skills to the test against other players like you! You can create an account or play as guest. You can filter out opponents based on different criteria. The multiplayer service is child-friendly. If you don't feel like playing, you can now just watch live games as they unfold. You can chat with your opponents (and block/report abusive ones). Your online games are synced in the cloud across your devices, so you can track your progress and replay old games wherever you are. SparkChess has won many awards and it was featured by Google, Blackberry and Adobe for its cross-platform capabilities. 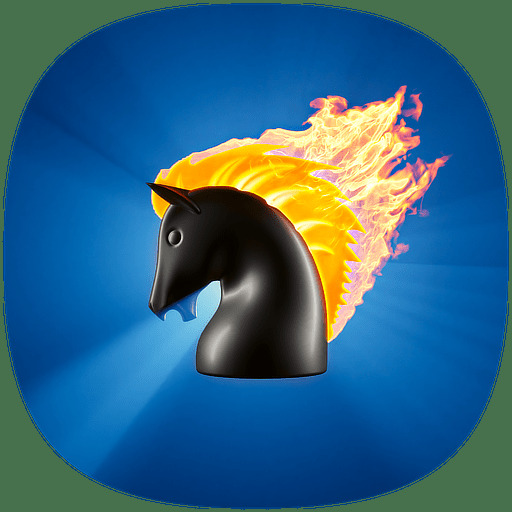 You can download SparkChess for PC, Mac, iPad, iPhone, Android phones and tablets. SparkChess is a game of chess that everyone can enjoy! The SparkChess AI chess engine features NegaMax, Alpha-Beta Pruning, Aspiration Window, Iterative Deepening, Time Management, Principal Variation, Quiescence, Transposition Tables, History Heuristics, Null moves, Eval Pruning, Killer Moves, Late Moves Reduction, Razoring, Opening Books. Additional art: Marius Borcea and Mihai Radu. Copyright ©2002-2019 Armand Niculescu / Media Division srl. All rights reserved. Still learning the basics, Cody blunders, making him a good opponent for kids and beginners. Deon knows the rules but doesn't have a clear strategy, so he easily falls in traps. Fast and aggressive, Boris is a powerful opponent for more advanced players. This old master is slow but deadly. Are you up to the challenge? By using Multiplayer, you agree to our Terms of Service. Enter your username and email address to recover the password by email. Please note that free accounts may be removed if unused for long periods of time. Offensive usernames are not allowed and may be removed without notice. Connect to Facebook to make it easier to create your account. Use your email address with the free Gravatar service to upload the avatar of your choice. Note: free accounts may be removed if unused for prolonged periods. Get SparkChess Premium to ensure your account is protected. Get SparkChess Premium or Advanced Multiplayer to remove the 2,000 points limit on your score. Select the players you'd wish to unblock from the list below, then click/tap the Unblock button. Your environment does not support saving PGN files directly. Copy the PGN text below and paste it in a text app to save it. New year, new contest! Read on for which colleges are competing in the 2019 Final Four, coming up April 6-7 at the Marshall Chess Club in New York City. Predict the winner and the order in which the four teams finish to win a SparkChess Premium Live Membership. Chess camps can be a great introduction to chess for beginners and give experienced players the skills they need to improve their chess results. Most chess camps are for children, but some camps are now open to adults too. FIDE Master and FIDE Trainer Kevin Bachler became involved in chess camps in 1996. This summer, Kevin is running two week-long camps, OleChess Camp in Minnesota and Caveman Chess Camp in Naperville, Illinois (Chicago area). Read on for Kevin’s tips for choosing a summer chess camp and for your chance to win a discount worth $200 to Kevin’s Caveman Chess Camp. Although most tournaments include men (and boys), there are occasional all-girls tournaments, female-only opens, and women’s invitational tournaments. The most prestigious invitational women’s tournaments held annually in the U.S. are the U.S. Women’s Chess Championship and the Cairns Cup, won its inaugural year (2019) by GM Valentina Gunina, age 29. The oldest, and lowest-rated, player in the 2019 Cairns Cup field was 40-year-old IM Anna Zatonskih. The documentary The Gentleman Driver follows four amateur race car drivers who pay to compete alongside professional drivers. Just as these amateur drivers spend money to race, one amateur chess player likewise sponsors an annual event where he plays chess with professionals. Some amateurs spend millions to compete in the sports that they love, money that they earned from being extraordinary businessmen. Read an excerpt from a book-in-progress and then vote on a name for that book. The author of the book-in-progress, Lauren Goodkind, will pick one winner from the comments. That winner will receive a copy of her previous book 50 Poison Pieces: Solve 50 Puzzles Where the Unprotected Piece is Toxic. The end game Paul Vaitonis and Reuben Fine , Stockholm 1937 ended in a victory for Fine who won in 3 moves. An endgame between two chess masters having two different playing styles, Géza Maróczy with his defensive style and Heinrich Wolf with an aggresive one. Play this online puzzle to see how the chess game between two chess masters of the19th century has ended.This is one more step to sharpen your mind. Solve this chess puzzle to sharp your mind and learn more playing online this end game.